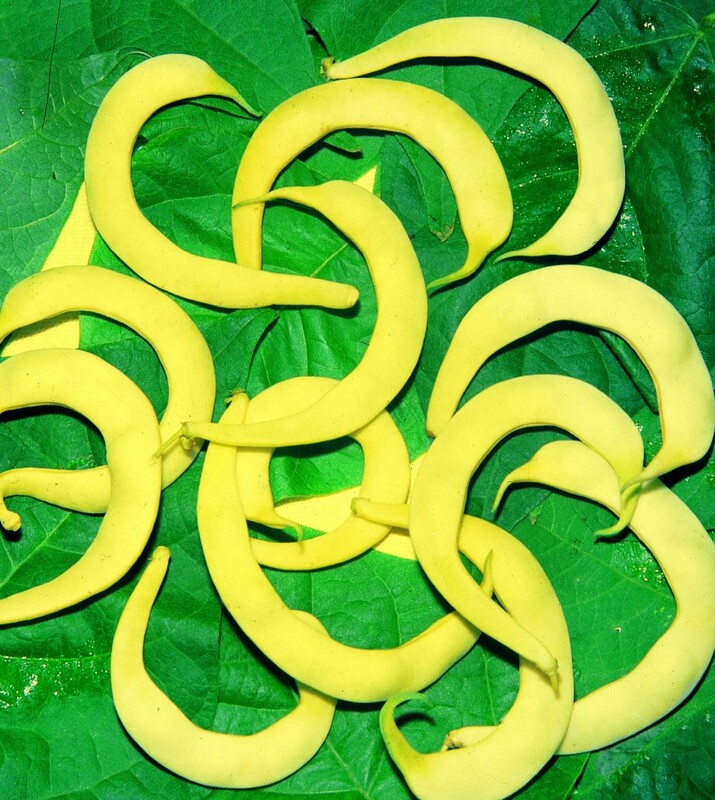 French beans with yellow pod. Curved pod with round section, 5/6 grains inside that marks the skin. Black seed with cream speckles.